Nadine came to Nightingale after suffering a terrible cycling accident. The fall resulted in both pubic ramus and acetabular fractures. Read on to learn from her journey through Physiotherapy Rehabilitation. Patient Background – Nadine came to Nightingale in September after suffering a terrible cycling accident. The fall resulted in both pubic ramus and acetabular fractures (a broken pelvis and a broken hip socket). Prior to suffering multiple fractures, Nadine enjoyed outdoor activities, to include cycling, golfing and tennis. Worried about the long and painful road to recovery ahead, motivation became her inspiration. Together with Jonathan at Nightingale Physiotherapy, she worked diligently along her path to recovery. The Results – Through the guidance, support, and hands-on treatments of Nightingale physiotherapist Jonathan and his practice, Nadine was back to her rigorous cycling routine and competitive golfing within four months of her accident. The pelvis is a ring of bone at hip level, made up of several separate bones. A pelvic fracture is a break in any one of those bones. 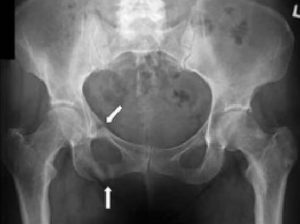 Some pelvic fractures, as seen with Nadine, involve breaking more than one of these bones. The pelvis is naturally a very strong bone. It takes immense force, and impact to cause a pelvic fracture. These types of fractures are horrifically painful. In the event that the fracture remains unstable, surgery may be required to obtain complete recovery. Luckily for Nadine, this was not the case. Through the assistance of her Nightingale home nurse team and Jonathan, physiotherapy led to a full, swift recovery. For a very independent active woman, such as Nadine, the loss of mobility after being placed on crutches for partial weight bearing was a frustrating and daunting experience. To say that the loss of dignity associated with her cycling fall was a difficult experience would be a gross underestimate. After her fall, Nadine was not able to bend her leg, move without assistance or roll over in bed. She was not able to wash without help or use the toilet without mobility aids. Even the daily task of putting on clothes had become painful and challenging. Despite these initial daily struggles, Nadine turned her sights to the future. As a competitive golfer, she regularly played in tournaments. She was in constant fear that she would never return to her beloved sport, and if she did – how long would the path to recovery take? Luckily for Nadine, with the support of her family, she was encouraged to enlist the help of the Nightingale nurses at this early stage. The DHA certified nurses were extraordinary during this difficult transitioning period before she was able to start physiotherapy. Despite googling the worst case scenarios, Nadine was inspired to progress through her rehabilitation. Realistically, after suffering a double pelvic fracture, rehabilitation can take upwards of 6 months to a full year before the patient is able to return to sports. Together with her doctor, Nightingale physiotherapist Jonathan determined the direction and speed of Nadine’s rehabilitation. Initially, Nadine and Jonathan focused on the challenge of walking properly with the assistance of crutches. Over the first few weeks of her therapy, she picked this up very quickly. However, it was here she experienced her first setback. Everything was suggesting rehab could be progressed to the next level. Nadine’s pain was minimal, she was walking perfectly with her crutches, and she was gradually building strength through minimal weight bearing exercises. After 6 weeks, her follow up x-ray showed the acetabular fracture was not healing as well as hoped. While she was no longer able to continue the weight bearing portion of her rehab, Nadine was able to continue working through hands-on physiotherapy treatment during this period, which helped reduce the shoulder and back pain caused by the fall. Nadine was committed to her daily exercises to restore mobility in the hip, back and shoulder. As each week progressed, she and Jonathan would establish new targets and new exercises to keep pushing her along her path to recovery. The first time Nadine walked and exercised in the pool was a great milestone. Before long she was able to move back to the stationary bike. Through the use of physiotherapy, Jonathan pushed Nadine’s limits during rehab, which allowed her to progress as quickly as possible while staying within the safe restrictions necessary for her healing pelvic fractures. Using physiotherapy rehabilitation, Jonny gradually rebuilt Nadine’s muscle and muscle control memory to reload the leg gradually. At the 10 week mark, Nadine’s x-ray brought amazing news. Both of her fractures were healing nicely. She was now able to progress with weight bearing exercises, gradually weaning herself off the crutches. Not only was this a great milestone on Nadine’s path to recovery, but this also allowed her to reestablish some independence. Liberated from her crutches, Nadine firmly set her sights on returning to her normal activities quickly as her body would permit. However, in the load bearing position, the weakness in her leg muscle became more apparent. In fact, Nadine was barely able to lift her leg. This was very unsettling and distressing for Nadine. She was now beginning to question how long it would take for strength to return to her legs so she could jog again, let alone compete in competitive sports. During these dark moments of recovery, it’s always hard to see the finish line. Patients often feel as if they’re a million miles away from their goal. 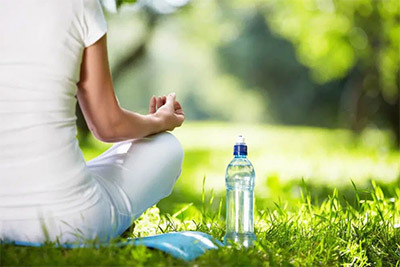 However, Jonny remained confident that through physiotherapy, Nadine’s ability would return quickly if she continued to stay focused on her exercise routines. From this point on, Nadine was completing three physiotherapy sessions per week. Through regular sessions in the aqua pool, jogging and swimming, not only were her spirits lifted but her strength and endurance were improving. Persistence over the next 4-6 weeks, doing exactly what she was told in terms of how long to aqua jog, swim, walk and at what percentage of body weight, resulted in excellent progress. By now, her walking was perfect. The day Nadine was able to jog out of the pool was very special for everyone, as this meant she would begin swinging a golf club soon. Sure enough, by mid to late December, Nadine was back in the swing of things! It was the best Christmas present she could receive. As Nadine continued to heal, her rehab became more aggressive. With weekly targets designed by her physiotherapist, her end goal was on the horizon. Nadine’s journey to recovery began in September 2017. After working relentlessly with her physiotherapist, within four months Nadine was jogging, visiting the driving range, and beginning tennis movement patterns. It took great discipline, but by the end of January, Nadine was enjoying swinging a racket and hitting tennis balls again. According to her physiotherapist Jonathan, this was by far the most enjoyable part of Nadine’s path to recovery. Her bounce was back, and she felt like herself again – just a slower version (but she knew that would change in time). As much as she loved staying with her family in Dubai, Nadine was able to fly home and continue with her exercises and rehabilitation. Although she still had targets to hit, both she and Jonathan were confident it wouldn’t be long before Nadine would return to competitive golf. Nadine’s hard work paid off. By March she was not only competing, she was winning! 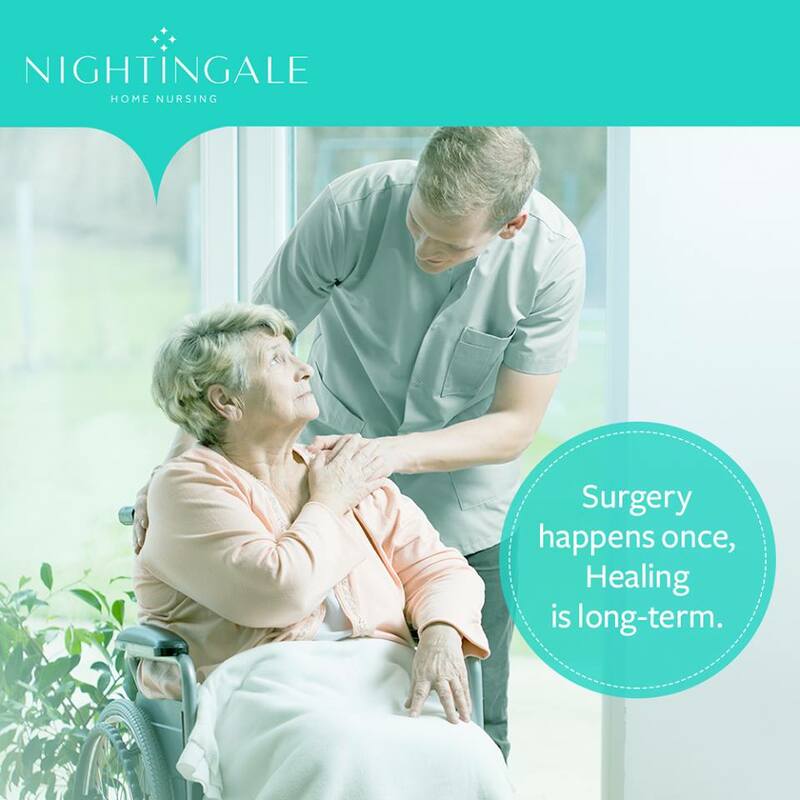 At Nightingale, our hands-on approach is designed to get you back on the road to recovery as quickly as possible. promotes optimal mobility, physical activity and overall health and wellness. manages chronic and acute conditions, activity limitations, and lifestyle participation restrictions. improves and maintains functional independence and physical performance. If you are tired of feeling pain, we can help. 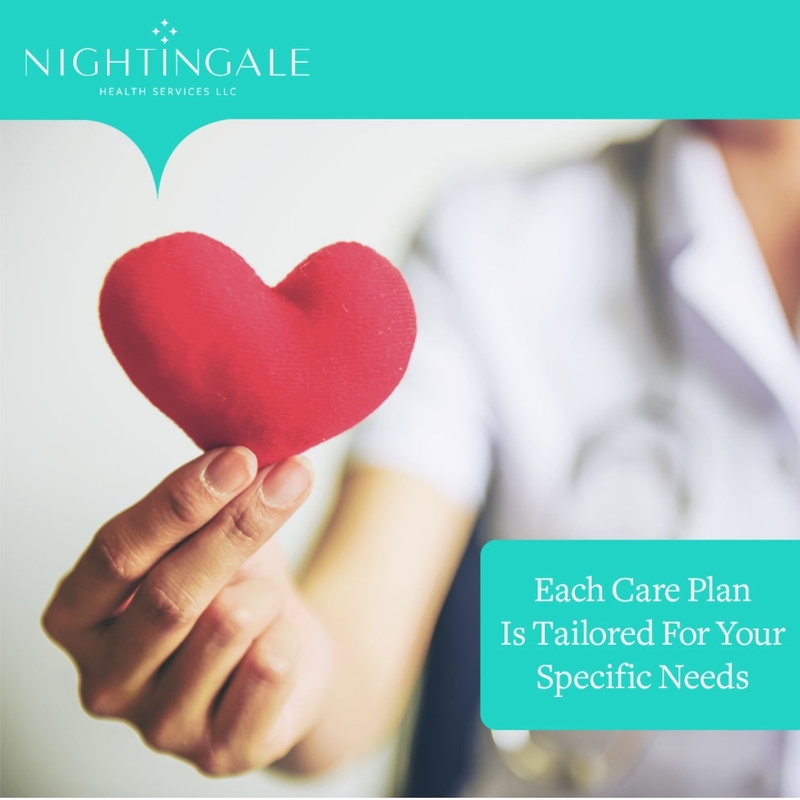 At Nightingale Home Nursing, we take a holistic viewpoint to physiotherapy taking into account your daily activities and whole life. Our licensed and certified British physiotherapist treats you directly in the comforts of your home, providing a custom tailored approach to get you back on the road to recovery and a pain-free life. Contact us today to learn more about our Physiotherapy Clinic and how Jonathan and his practice can help you get back on the path to a happier and healthier you.